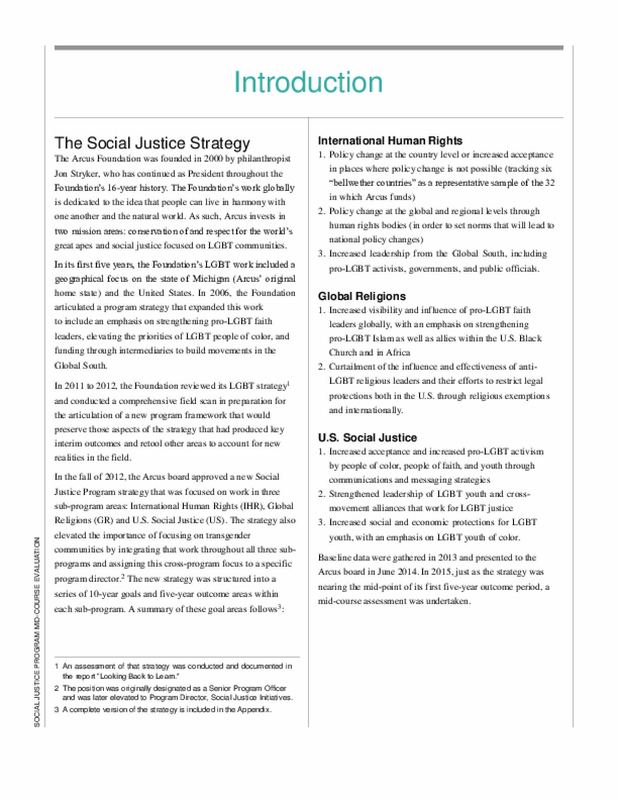 The report details the impact of the Social Justice Program strategy implemented in 2013. The program's framework included three discrete sub-program areas: International Human Rights (IHR), Global Religions, and U.S. Social Justice—as well as a cross-cutting area of Transgender Equality and Justice. For each of the three subprograms, Arcus articulated 10-year horizon goals, with fiveyear outcome objectives. Copyright 2017 by Arcus Foundation. All rights reserved.